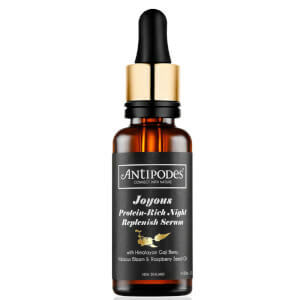 Keep skin smooth, soft and clear with the Antipodes Vanilla Pod Hydrating Day Cream (60g). The lightweight formula deeply moisturises without clogging pores, whilst added manuka honey and its antibacterial agents help to clean up any blemishes and keep skin clear. Massage in after cleansing and any other facial treatments. I love this! And while no product alone works magic on it's own, clever pairing certainly can. My skin is sensitive and I have rosacea, and there's been no bad reaction, no clogged pores as some other reviews mentioned. I do feel it might work towards soothing inflammation a bit which encourages me to try more products with manuka honey, though I'm not using it as a main treatment, and it's not designed to be one. I'd say for me it's a great product in a very minimal clean skincare regime for sealing in the moisture after soothing/moisturizing serum. It's great. This is my winter go-to moisturiser. A little goes a long way with this day cream and it is intensely hydrating - perfect for my dry winter skin! Who doesn't love a cream that smells just like vanilla ice cream!!! It's a hydrating day cream but I have been using it day and night, just love it. This is a wonderful product and I love the smell of this product. Smell refreshing and it feels so good the minute you massage onto your skin. It reduces my red rashes too. Thank you! I have combination skin big pores. This is good cream for winter. Love how it smells and foundation applies smooth! Love it contains manuka honey which heals my acne. Only organic ingredients, i love it. It is not super lightweight. 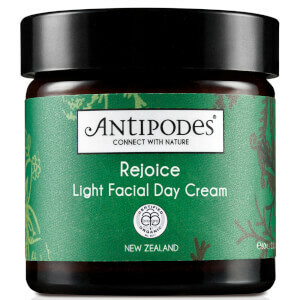 Antipodes Vanilla Pod Hydrating Day Cream is the best moisturising cream I've ever had. It nourishes my skin and kind of heals it in a way. Very good ingredients, smells nice, gorgeous consistency, like a thick whipped cream :) I took 1 star away because unfortunately I can't use it all over my face too often- it doesn't break me out, but I tend to have much more blackheads than usual after a couple of days of regular use of this cream :( instead, I use it on my constantly dry lips and around eyes area- and it moisturises them beautifully! Please, note, I have combination skin, so I think it will be just perfect for skin types on the drier side. 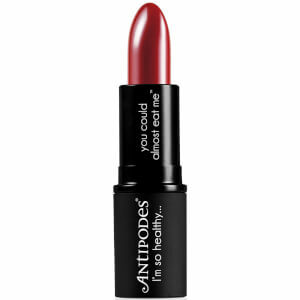 What attracted me to this product is that it is organic and got so many great reviews but it just does nothing for me. This cream takes some time to absorb in the face which leaves a white/greyish film on my skin for some time. Also I feel like the cream is too rich for my skin type(normal/dry) since I started using this cream I started having more breakouts(which I never have). Won't purchase again. To say that I have tried too many moisturizers is an understatement, my quest is finally over, this product in combination with the H20 serum is the bomb! 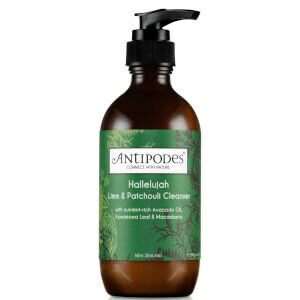 Gone are the days of dry skin or patches, so happy to have discovered Antipodes and so is my husband, he has ditched his Clinique cream for this one. Give it a shot, you won't regret it! Was extremely excited to try this product after reading shining reviews and was more than disappointed. I have combination skin, every time I use this cream I break out and my t-zone is almost reflective! Not very soothing and extremely heavy.